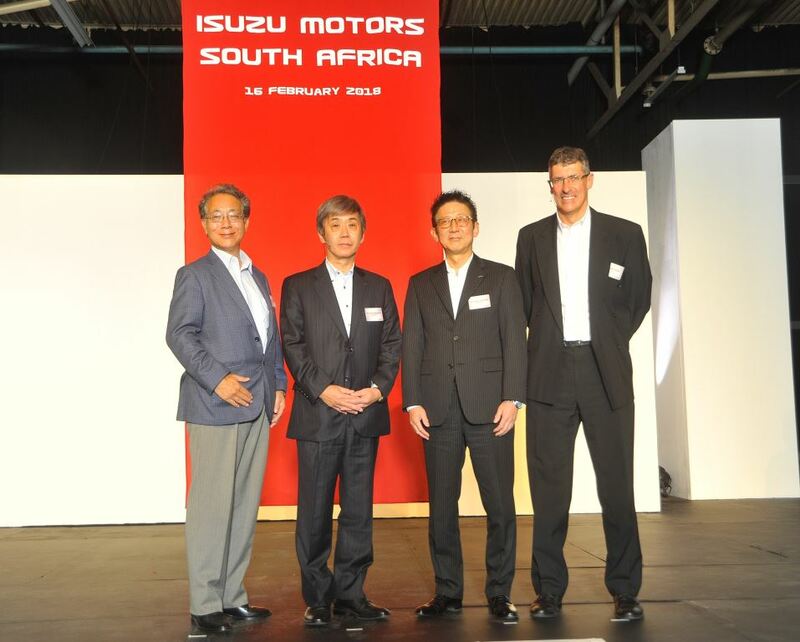 Taking the stage at the official launch of Isuzu Motors South Africa are, from left: The Ambassador of Japan to South Africa, Shigeyuki Hiroki; Isuzu Motors Ltd President and Director Masanori Katayama; Isuzu Motors Ltd Senior Executive Officer and Isuzu Motors South Africa Chairman, Haruyasu Tanishige; and Isuzu Motors South Africa CEO and Managing Director Michael Sacke. After many months of silence since General Motors decided to pull out of South Africa, Isuzu Motors has come out of its closet by announcing the official launch of its business operations in South Africa. This follows the announcement last year where Isuzu said it would purchase the light commercial vehicle operations in Port Elizabeth and also the balance of shareholding in its Isuzu Trucks South Africa operations. 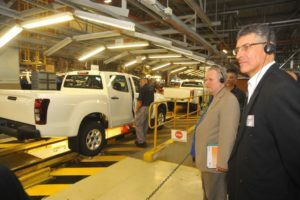 Speaking at an event attended by around 1 700 people – which included factory staff – held last week at the manufacturing plant in Struandale, Port Elizabeth, the president and representative director of Isuzu Motors of Japan, Masanori Katayama, said that Isuzu was committed to growing its business in South Africa. Isuzu also has a 20% shareholding in joint venture manufacturing operations in Egypt where the company has led in the market for 10 years in a row. The light commercial vehicle pick-up which is produced there and accounts for over 90% share of the market segment, is derived off the Isuzu KB pick-up. Also speaking at the launch event, Isuzu Motors South Africa CEO and MD Michael Sacke said the company’s initial focus will be to fully consolidate its operations while laying the foundation for the company’s future success. 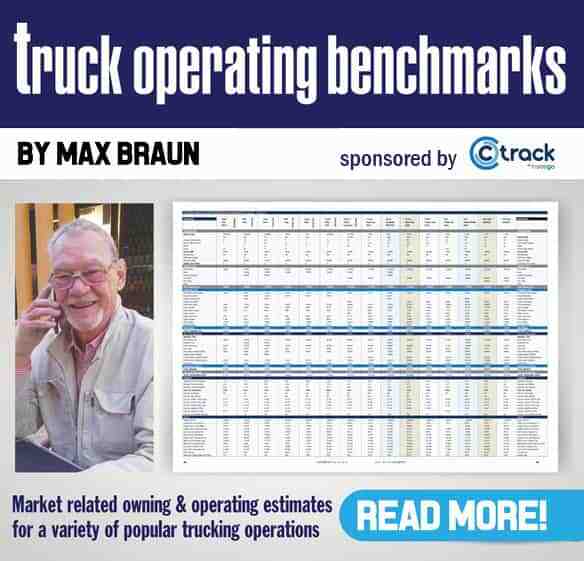 Sacke said the company was already making good progress in achieving these objectives and that last year, Isuzu trucks accounted for around 15% share of the medium and heavy commercial market, thus cementing its leadership position in these segments of the market for over five years in a row. Isuzu Motors South Africa CEO and Managing Director Michael Sacke (right) hosted Minister of Trade and Industry Rob Davies during a tour of the newly celebrated Isuzu Motors South Africa production facility in Struandale, Port Elizabeth. The Minister of Trade and Industry, Dr Rob Davies, who attended the launch and then had to rush off to suit up for President Cyril Ramaphosa’s first SONA address as the new President of South Africa, said South Africa’s automotive industry is a global, turbo-charged engine for the manufacture and export of vehicles and components. 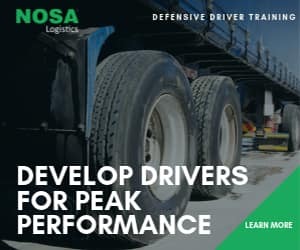 He said many of the major multinational firms use South Africa to source components and assemble vehicles for the local and international markets. “With its ability to link throughout the economy, the government has identified the automotive industry as a key growth sector. The auto industry is important to the future of manufacturing in this country and whatever emerges in the future will be based on a significant level of support for it going forward. The sector contributes 7.5% of South Africa’s Gross Domestic Product and employs about 113 000 people directly. It is key to ensuring greater economic growth,” said Davies.